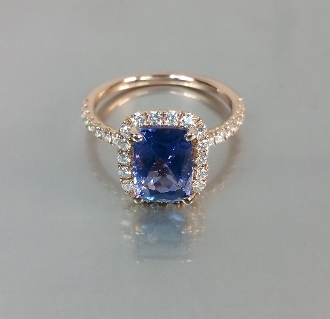 Total tanzanite weight is 2.66ct. and measures 6x9mm. Total diamond weight is 0.59ct.